destroy | Pleasant's Personal Blog! A note on the Fermi-Hart Paradox! The future of humanity looks bleak and bright at the same time depending on how we perceive it. If we look around, we may feel that we are moving forward towards a brighter tomorrow. However, if you look up, the thoughts change. The sky on a clear night is one of the most beautiful sights you can get on Earth but this awe inspiring sight brings questions into our minds regarding the bleak future of human race. Whether we are alone in the universe is a question that might give us clues about our own fate in the distant future. We can hope to grow so advanced that we wouldn’t have to look back or we can expect ourselves to fall back and perish. SETI scientists spend their entire lives with radio telescopes pointed at the sky listening to the “cosmic buzz” hoping to find evidence that there is intelligent life outside Earth. 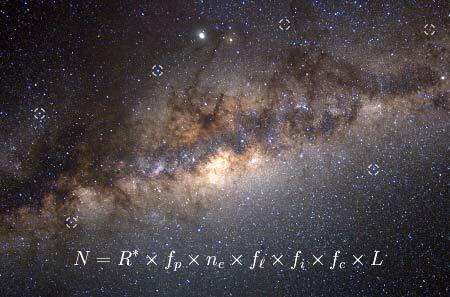 The Drake Equation gives different estimates regarding the number of intelligent civilizations outside depending on whether it is an optimist or a pessimist who substitutes the values. However to this day, there hasn’t been any conclusive evidence that there is life outside out planet. 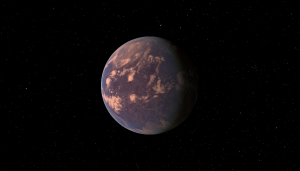 This paradox first postulated by Enrico Fermi and later examined by Michael H. Hart, analyzes various reasons why there haven’t been any intelligent exobiology detected so far. 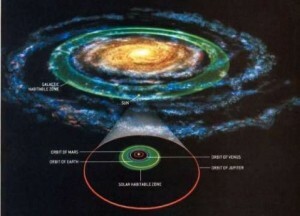 So why is it that despite the size of the universe, we haven’t seen intelligent life outside earth yet? Two corollaries of the Fermi-Hart paradox may give us some clues. They are the Doomsday argument and Von Neumann Probe. This theme has been extensively explored in science as well as science fiction alike and deals with an argument that precludes the possibility of a technological civilization with an invariable proclivity to destroy themselves shortly after developing radio or space technology. The various postulated means of annihilation include biological and nuclear warfare, nano-technological catastrophe, accidental contamination, a badly programmed super-intelligence, ill-advised physics experiments or a Malthusian Catastrophe that deteriorates the planet’s ecosphere. Probabilistic argumetns have bene put forward suggesting human extinction as an inevitable event happening sooner than later. Sagan and Shklovsky suggested in 1966 that either a technological civilization will destroy itself within a century after developing interstellar communicative capability or will master their self destructive tendencies and survive for billions of years. Thermodynamics and chaos theory may also suggest clues regarding the tendency to self annihilate. 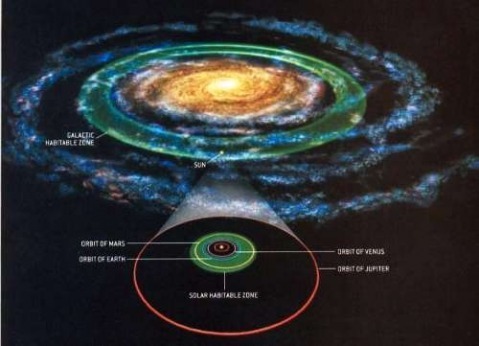 As far as life can evolve as an ordered system, it may not create a problem but when it starts with its interstellar communicative phase, the system would probably get unstable and eventually self destruct. Self destruction is a paradoxical outcome of evolutionary process in a Darwinian point of view. Evolutionary psychology suggests that at a time when humans competed for scarce resources, they were subjected to aggressive instinctual drives like tendency to consume resources, extend longevity and to reproduce which eventually led to a more technological society which may drive us to extinction. Self destruction of a technological civilization, according to Fermi, might be a universal occurrence. Self destruction may not be the only outcome though. There is a remote possibility of the civilization getting back to being non-technological as we saw happening to the Ba’ku people in the movie Star Trek: Insurrection. 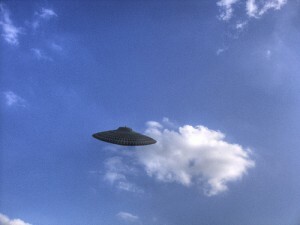 A Flying Saucer – An alien craft? This postulate investigates the possibility of a technological civilization, once it reaches a certain level of technological capability, destroys other intelligence when they appear. This concept has also been explored in science fiction for decades. The causes of such extermination might be expansionism, paranoia or plain aggression. Cosmologist Robert Harrison added a corrolary to Sagan and Shklovsky’s suggestion in 1981 by arguing that given a technological species that has overcome its own tendency to self destruct, it will view other species in the universe as a virus and try to exterminate them. A direct consequence of this argument is the picture of an intelligent being as a super-predator, just as humans are today. 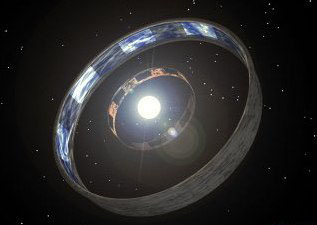 Just like exploration, extermination of other civilizations can be carried out using self-replicating artificial probes. It is a more dangerous case since even after the civilization that created such probes have died out, these probes will continue to do the job their creators assigned to them. If take this possibility into consideration, then that might answer the scarcity of observational evidence of extraterrestrial intelligence, because either these probes will destroy them, force them to be quiet or force them to live in hiding to prevent detection. Leaving all these arguments aside, there is still a very high probability that we are indeed alone in this universe. To conclude, what is going to be our future? Are we heading towards self destruction? Is our life and society as ephemeral as that of a mayfly? Are the advancements we make every day in technology actually the nails we are driving into our own coffins? Or are we going to be like the Borgs? I leave this up to you to answer.